Portland Bill Lighthouse - Isle of Portland (Dorset) - © Guy Milledrogues, 2013. CROSS Gris-Nez – Boulogne-sur-Mer (Pas-de-Calais) - © Guy Milledrogues, 2007. Today’s highly sophisticated surveillance system has little resemblance to the first lighthouse to be built in the Channel, its distant ancestor built by the Romans on the Dover cliffs as the counterpart of one in Boulogne. Nevertheless, the greater part of the Channel remained in darkness until the 17th century, during which lighthouses multiplied. Many of these were operated by private individuals, who charged a fee for their services. The first of the great classic lighthouses, the Eddystone lighthouse, was built in 1698 on a rock some 13 miles off Plymouth. Five years later it was literally blown away by the great storm of 1703. Its architect Henry Winstanley perished, being on site to supervise repairs. It was impossible to control the intensity or the direction of the lights in these first lighthouses, generally produced by burning wood or coal. Light signalling remained very inefficient and did little to help seamen confronted with the perils of the sea. The situation really changed only with the arrival of Fresnel’s lenses around 1820, enabling the construction of lighthouses whose signal carried over long distances at sea. These were placed under the authority of the 'Bureau des Phares et Balises' in France, and Trinity House in England. Completely automatic since the 1980s, lighthouses and lightships continue to be an essential link in the system of navigational aids. 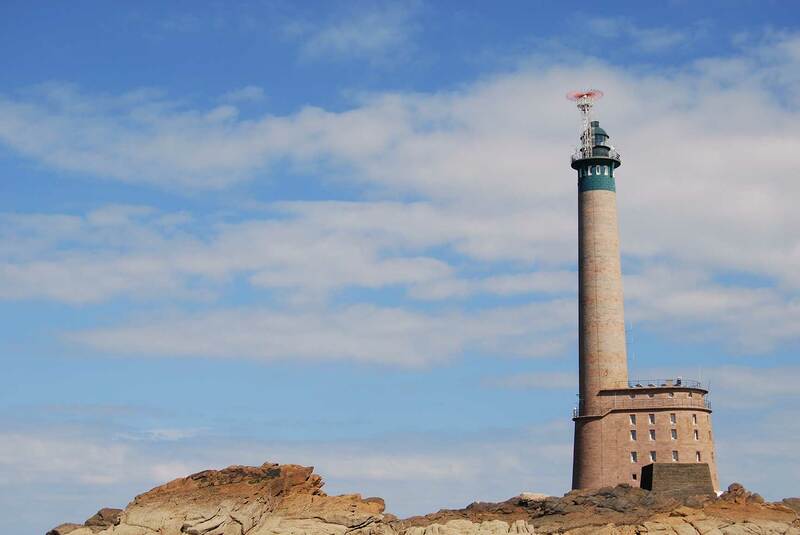 Franco-British cooperation is nowhere better symbolised than by the lighthouse of Roches-Douvres, the largest in Europe, 30 miles from the Brittany coast, and rebuilt three times since 1867. Roches-Douvres Lighthouse, English Channel, Côtes-d'Armor (Brittany).